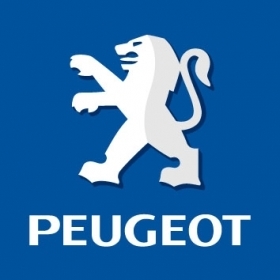 PARIS (Bloomberg) -- PSA Peugeot Citroen called on Molex Inc. to resume severance payments to fired French employees and Renault SA vowed to review its ties with the U.S. supplier after France's government demanded a boycott over a labor dispute. France has asked the two carmakers to “cease all business” with Molex after the component maker stopped funding agreed payments to 283 workers who lost their jobs when it closed a plant in the country last year, Industry Minister Christian Estrosi said today. Molex makes electrical parts for vehicle-cabling specialists, which in turn supply carmakers including Paris-based Peugeot, Europe's second-biggest auto manufacturer after Volkswagen AG, and smaller domestic rival Renault. The suburban Chicago company halted the payments this month after 188 of the closed French plant's workers asked a labor tribunal to award them more money. Dufour and Caroline De Gezelle, a spokeswoman at Renault, both declined to comment on the value of Molex parts purchased annually from the French carmakers' front-line suppliers. Estrosi's intervention came a day after Molex posted fiscal first-quarter net income of $75.1 million, compared with a $15.1 million loss a year earlier, and raised its dividend 15 percent to 17.5 cents per share. The minister called Molex's decision to end the payments “unacceptable and scandalous,” and said the government will force the U.S. company to “explain itself before the French courts,” Agence France-Presse reported today from a briefing after a cabinet meeting. Molex had paid out about 50 million euros ($69 million), or 90 percent of its liabilities under the 2009 settlement, when it discovered that former employees were disputing the plan's validity in court, Rodriguez said.